What’s with all of these freebies today that only last a single day?! 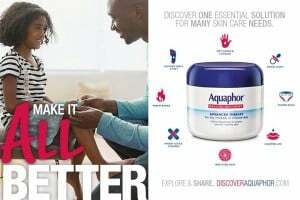 You can request this free sample of Aquaphor Healing Ointment from Dr Oz on the Dr Oz website! You have to act fast as it will only run today and supplies are extremely limited. After 3 p.m. today, participants who sign up will receive a coupon for a free tube of Aquaphor ointment. Like I said before, this deal will go quick!